1) Vacant homes tend to look cold and uninviting. A few pieces of furniture + area rugs and accessories such as art and florals in each room add the warmth that help buyers envision the house as a home. 2) Empty rooms – especially particularly large or small ones – often raise questions in buyers’ minds about whether, where, and how furniture will fit and how it should be placed. This is magnified even more if the room has unusual angles or oddly-placed windows. Staging provides solutions to these dilemmas to show the home in its best light! 3) Vacant homes can look as if they have been sitting too long on the market, conveying the impression that sellers may be desperate and that the house hasn’t been well-maintained or may have unknown issues. Furnishing a home helps give it a lived-in feeling that makes it competitive with other (furnished) homes on the market and makes it look move-in ready. 4) Staging creates a preferred lifestyle buyers aspire to; a professional stager appeals to your target demographic by using design elements to appeal to buyers’ emotions. 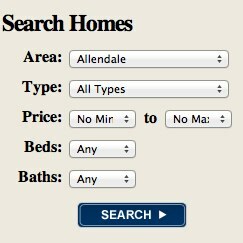 5) Since 85-90% of buyers start their home search on the internet, having attractive MLS photos on-line is critical. Furnished and decorated rooms are much more appealing to the vast majority of buyers than empty rooms! What about cost? Staging 3 main rooms (living room, dining room, master bedroom) as well as bathrooms and kitchen with furniture, soft goods, and accessories in an average 3-bedroom, 2 bath house runs around $2,500-3,500 for 3 months. That price is always less than the cost of a price reduction!